Charlotte Rosenberg was queen of the first Strawberry Festival in Plant City, Florida. 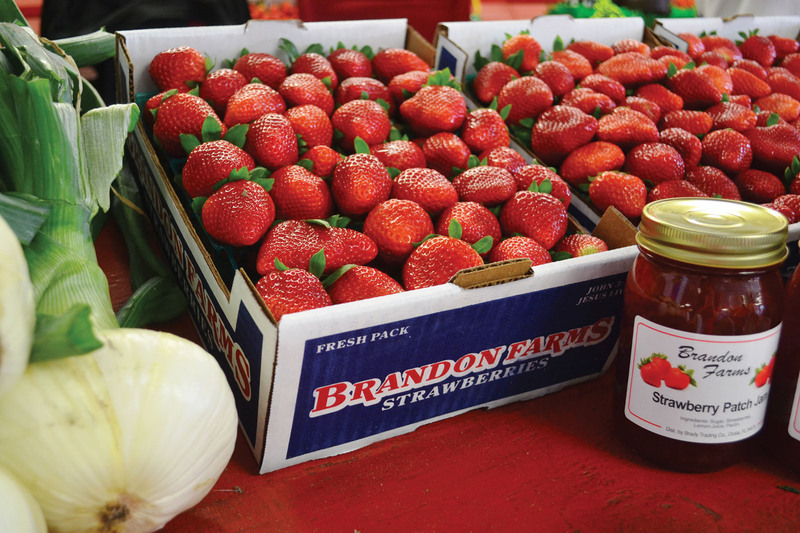 Nearly nine decades later the festival celebrating Florida’s strawberry harvest runs March 3-13. 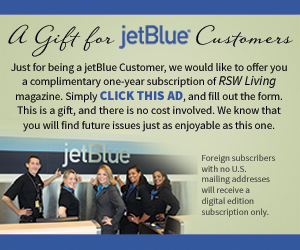 Half a million visitors are expected. Samantha Sun this year inherited the crown first worn by Charlotte Rosenberg in 1930. 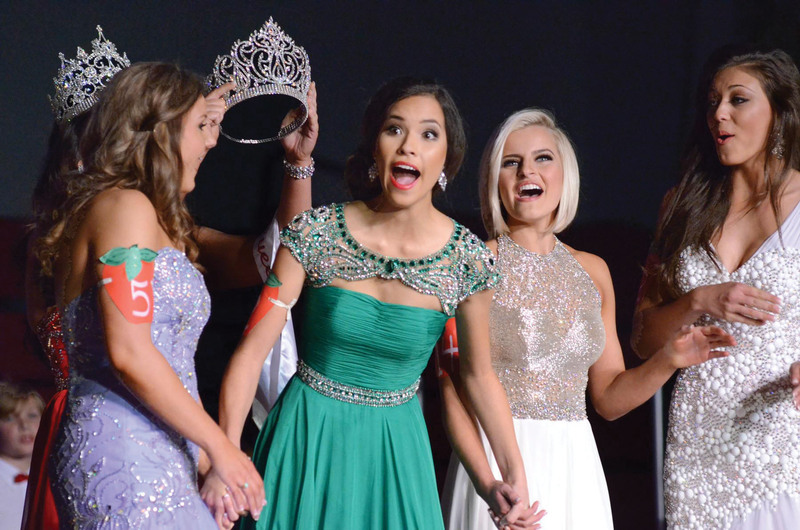 A new queen is picked at a special Jan. 23 pageant in Plant City. 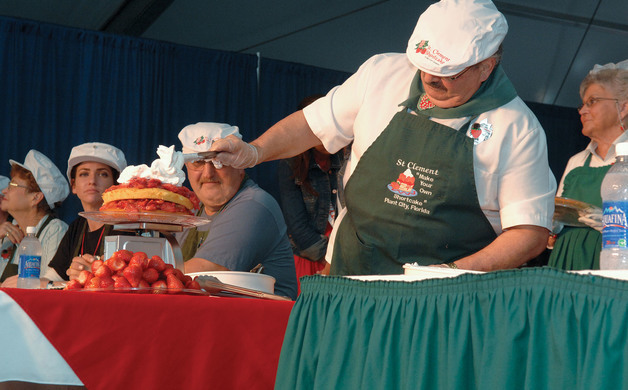 Technically the Strawberry Festival is in its 81st season―it was halted for six years during the WWII era. 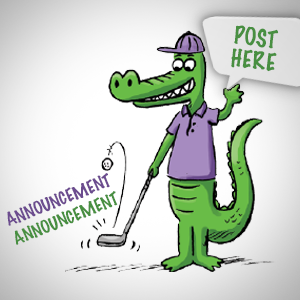 “It is our town’s bread and butter,” festival public relations and media director Lauren McNair says of the Plant City event ranked in the top 20 in size and visitor count by the Southeast Tourism Society. 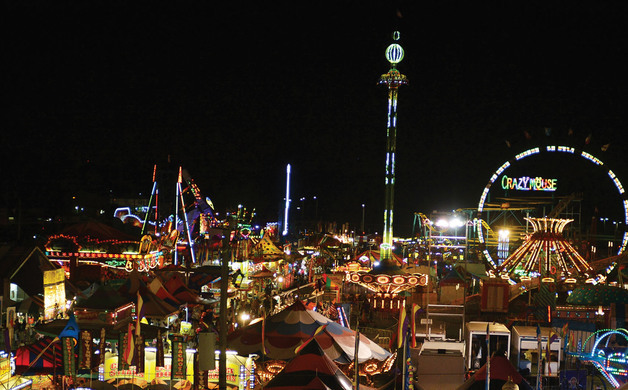 The Plant City Strawberry Festival, staged inside a 2-mile gated radius, is family oriented and offers live music, 22 concerts, a midway of some 85 carnival rides and games, a livestock show and a Neighborhood Village with baked goods and arts and crafts. There are also plenty of vendors selling strawberry-related goodies such as shortcakes, cookies, pies, fried strawberries, milkshakes, pizza, hamburgers, lemonade, cheesecake, tarts, chocolate-dipped and fresh strawberries. 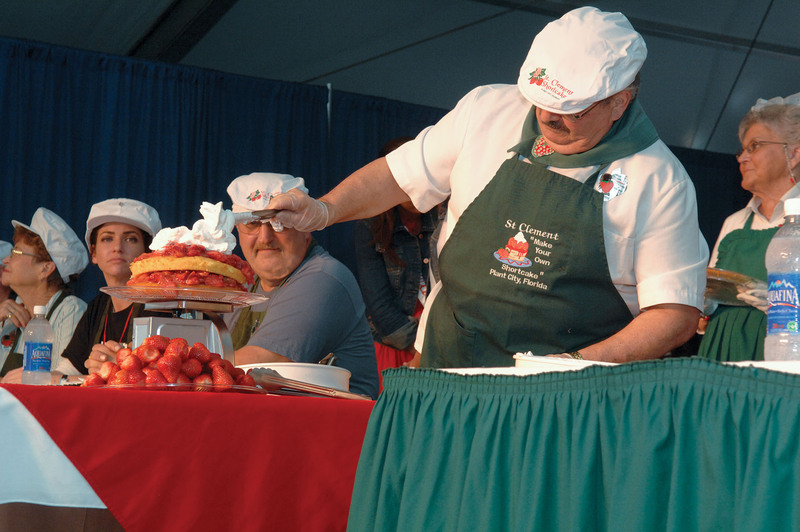 A bigger attraction is a strawberry shortcake contest challenging participants to gobble 4 pounds in 10 minutes or less, McNair says. Samantha Sun is from Plant City, the unofficial Strawberry Capital of the World. She is the festival’s current queen and a model for a Miami agency. A bona-fide strawberry-lover, Sun enjoys fresh strawberries dipped in rich chocolate and spends time picking them with her family. “The fresh picked ones usually have the best flavor,” she says. Sun’s duties as queen included serving as the festival’s ambassador, participating in events throughout Florida, appearing at other festivals and parades, and making television appearances. Sun never imagined having the opportunity to serve her hometown in such an amazing way, honored to be able to serve as part of Plant City’s royalty in her tenure, she says. “This position is so much more than just wearing a crown, it is an opportunity for me to be a positive influence on others,” says Sun, who particularly enjoys interacting with kids as part of her royal duties. 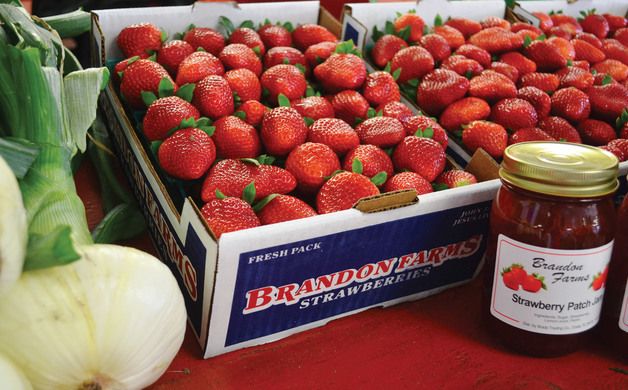 Florida strawberries are harvested November through the beginning of April, and since the festival is held in March, it’s right during the peak season. “It’s a great time in the season for our visitors to sample our strawberries, and it’s the perfect time to celebrate our harvest,” McNair says. The strawberry, a member of the rose family, is immensely popular. American farmers produce some 40 billion pounds annually―30 percent of the world’s production―and it is on a popularity list preceded only by the banana, apple, watermelon and grape. The Strawberry Festival’s greatest strength lies in the sheer numbers of volunteers pitching in over the year, including 20 full-time staff. “About 2,500 individuals give their time in various areas of the festival each year,” says McNair. The volunteers stay plenty busy with youth livestock shows [steer, beef breed, dairy cattle, swine, lambs, chickens and rabbits], contests in the Neighborhood Village and with Future Farmers of America youth, as well as welcoming the 500,000 strawberry-loving guests arriving each season from all over the world. “The festival is an event in which our community takes great pride,” says McNair. Ann Marie O’Phelan is a Southwest Florida resident who loves all of the wonderful harvest that comes out of our state, and especially the strawberries. On average, there are 200 seeds in a strawberry. Strawberries are a member of the rose family. In addition to vitamin C, strawberries also contain antioxidants, fiber and folate. Florida is second in strawberry production, topped only by California. Florida in 2014 produced 207.1 million pounds of strawberries on nearly 11,000 acres, for a total crop value of more than $306 million.